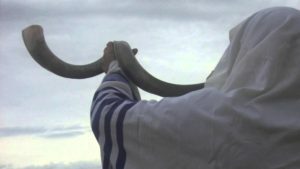 Speak to the children of Israel, saying: In the seventh month, on the first of the month, it shall be a Sabbath for you, a remembrance of [Israel through] the shofar blast a holy occasion. You shall not perform any work of labor, and you shall offer up a fire offering to the Lord. The first of Tishrei, a day of judgement, a day of celebration, a day — as we read in baraita in the Babylonian Talmud — of remembering the creation of the world, the beginning of the Days of Awe . The Days of Awe, a time especially for introspection and repentance, culminates in atonement on Yom Kippur, the 10th of Tishrei. 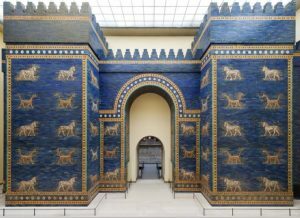 With all the Hebrew month names we now use being introduced by those Jews “coming up” from Babylon around the time of the second Temple, it is not surprising that Tishrei is derivative of the Akkadian “Tashritu” meaning “Beginning”. While Jews would remain in Babylon for 2 1/2 more millennia, those that returned had been isolated from Jerusalem and had brought back with them unique minhagim, including a more fevered focus on Rosh Hashanah and Yom Kippur. Long after the Kingdom of Babylonia fell, Jews exiled there continued to use the name Babel to refer to the land of the two rivers. 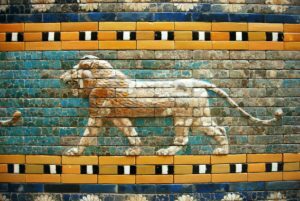 This Babylonian diaspora, the original and rather large diaspora, remained in Babel until we were forced out by the Iraqi regimes of the mid to late 20th century. Escaping the assimilative stresses from the Greco-Roman civilization down through the influences of European cultures, the unique practices, institutions, and biblical interpretations evolving from antiquity have been preserved in the Bavel / Baghdadi minhag that we continue to observe in “Babylonian” communities around the world including here in Toronto in the Iraqi Jewish Community of Ontario. It was the Babylonian Jews that created the great learning centres and academies of the first millenia CE. Between the third and fifth centuries CE, the unique Babylonian style of commentary resulted in the creation of the Babylonian Talmud. This Talmud would come to dominate Jewish thought and behaviour around the entire world for the next fifteen centuries. It is in the Babylonian Talmud that Rosh Hashanah and Yom Kippur are fleshed out in terms that they are understood by most Jews today. 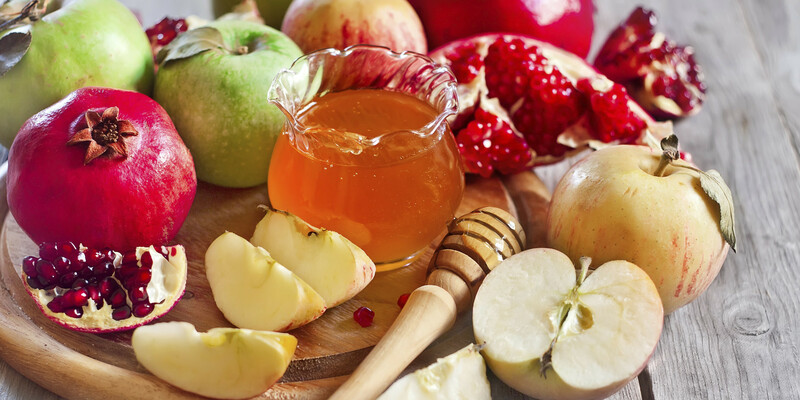 Come and experience Rosh Hashanah and Yom Kippur with our community, and participate in an authentic 2,500 tradition as we continue to preserve the minhag Bavel that was passed down to us.